Clay has been my medium for over 40 years. I am influenced by Modernism, and while at art school in Copenhagen during the 1960s I was taught that there are strict rules about what should and should not be made. I have mellowed over the years and can now allow myself to experiment with works I previously would not have considered making, but I feel the responsibility to be careful about what I make. Clay has been my medium for over 40 years. I am influenced by Modernism, and while at art school in Copenhagen during the 1960s I was taught that there are strict rules about what should and should not be made. I have mellowed over the years and can now allow myself to experiment with works I previously would not have considered making, but I feel the responsibility to be careful about what I make. The world is full of objects, and I do not want to add to that multiplicity unless I feel that I have something worthwhile to say in doing so. 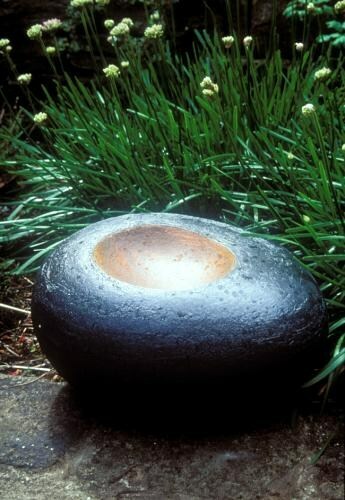 I do not make as many pots as I used to, but perhaps I put more thinking into them. Clay has been my medium for over 40 years. 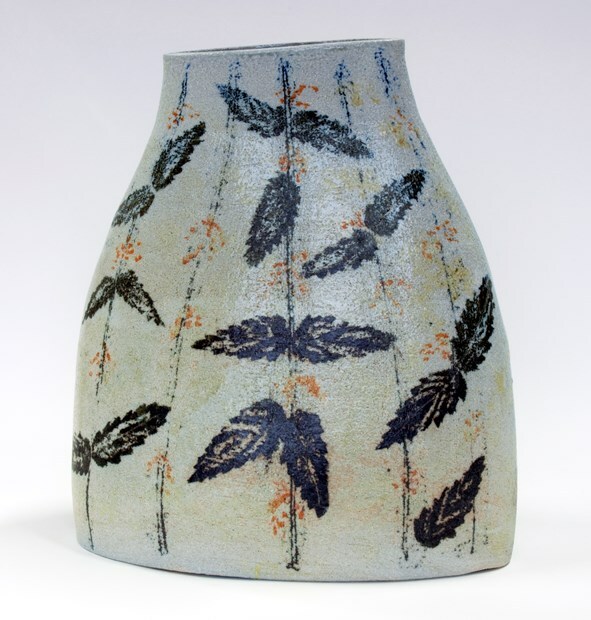 I have been potting since I first discovered ceramics, and have gone through different viewpoints about my work. I am influenced by Modernism. While at art school in Copenhagen I was taught that there are strict rules about what should and should not be made. I have mellowed over the years and can now allow myself to experiment with works I previously would not have considered making. But I feel a responsibility to be careful about what I make. The world is full of objects, and I do not want to add to that multiplicity unless I feel I have something worthwhile to say in doing so. 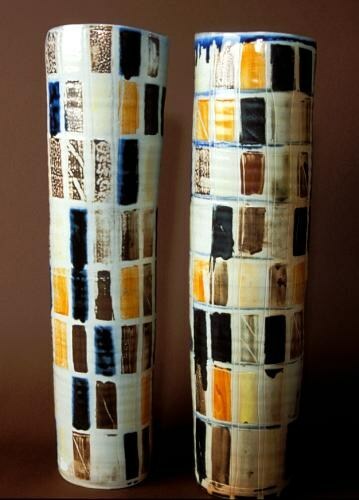 I do not make as many pots as I used to, but perhaps I put more thinking into them. 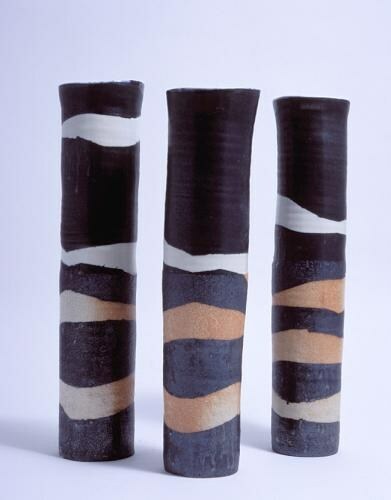 A vital part of my life is my ceramics, and I get much of my inspiration from nature: walking on the moors and by the sea, looking at the ever-changing light and the rhythms in the patterns of nature. 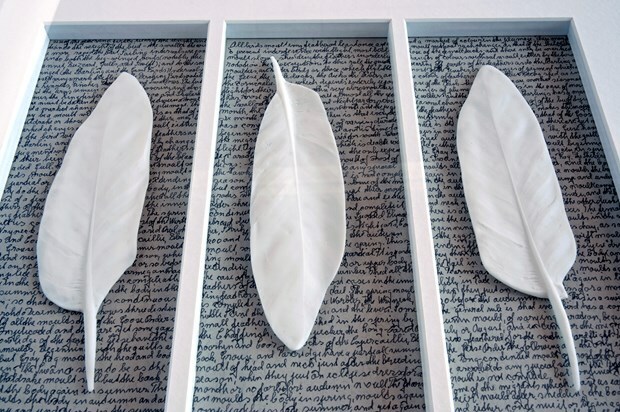 I enjoy the making process and the firing; the excitement after a firing and the wait before the kiln opening, where it is revealed which ideas have worked and which have not. There are many disappointments, but in-between I may get something out that ‘shines’, and that is what makes me want to carry on being a maker.